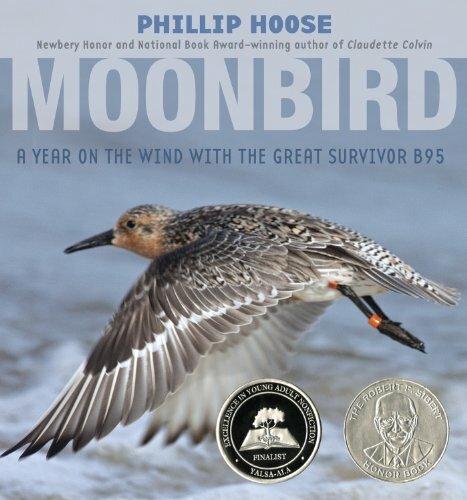 Awe-inspiring non-fiction – discover and explore the wonders of our planet. For almost 15 years of my adult life I read mainly non-fiction. Then three years ago I discovered middle grade fiction and have read mainly fiction since. However, a Reading Rocks ( Twitter: @_Reading_Rocks) chat for non-fiction November got me thinking about the way’s we engage with non-fiction texts and that non-fiction is often not talked about as much as fiction. 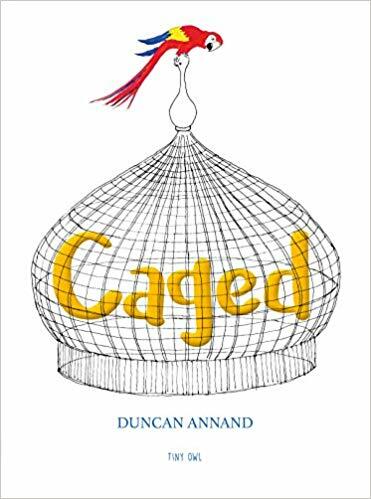 Looking into a selection of recent non-fiction books I am discovered that many are expanding the boundaries of ‘more traditional’ non-fiction, creating some truly awesome books that you will want to return to time and time again . 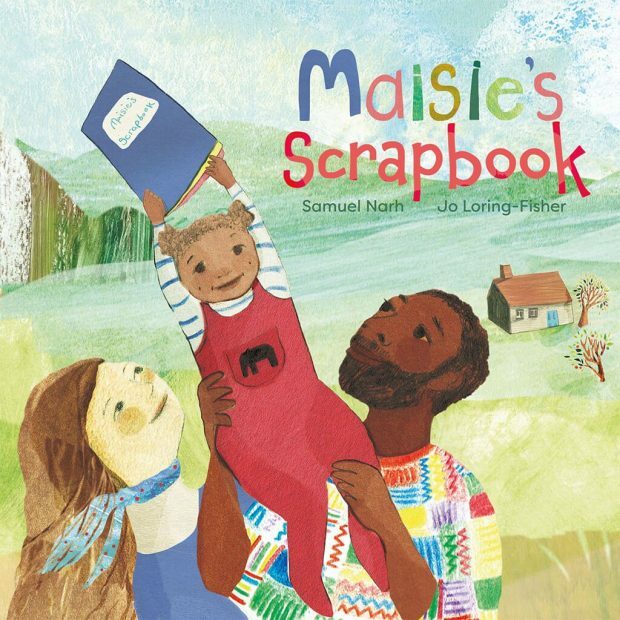 For someone that also loves picture books, modern day fiction with its blurring of curious facts and information with awe-inspiring illustrations and photographs is a real treat. 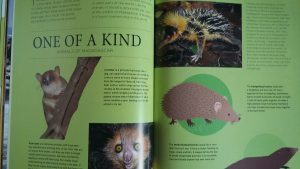 I kick-start my non-fiction discovery with 3 fabulous books that explore planet earth and some of the creatures we share it with. Get set to travel to some of the most awe-inspiring places on earth. 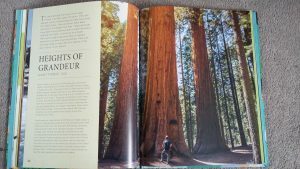 This is a coffee table style non-fiction book, with huge pictures, of animals, plants and trees and double page spreads featuring some of the most amazing landscapes in the world. 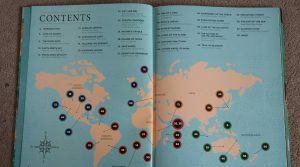 It also has an annotated map, to show you where in the world you can find them and an index. 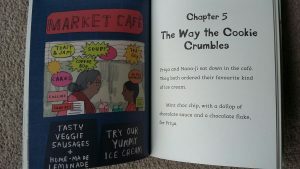 Making this a really versatile book that will appeal to many sorts of readers. There is so much to explore in this book. To help you to begin to do that I have made a list of 6 things to find. I have to confess this is the first of Owen Davey’s fabulous non-fiction books, published by Flying Eye Books that I have seen. I will be definitely be looking up the others after seeing this! 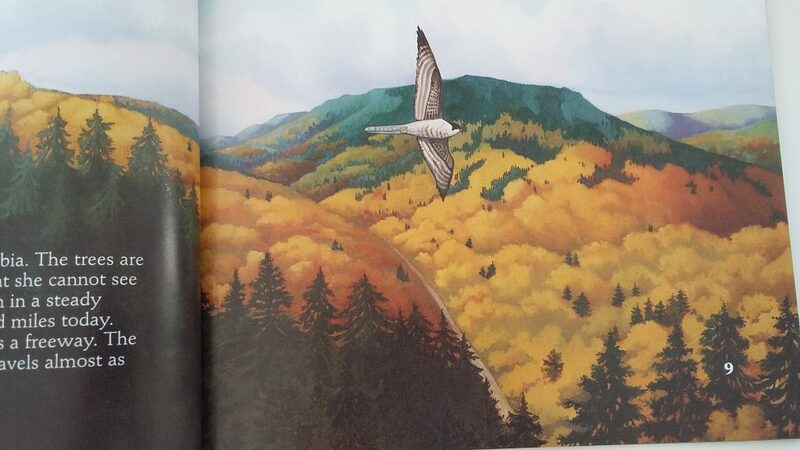 What I love about this particular book is that it chooses a creature that most children and adults know little about. 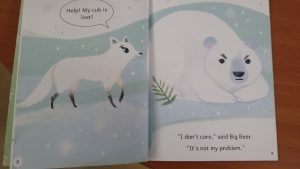 Which means it will both introduce animal lovers to a new creature and potentially appeal to children that would not normally pick up a book about animals. 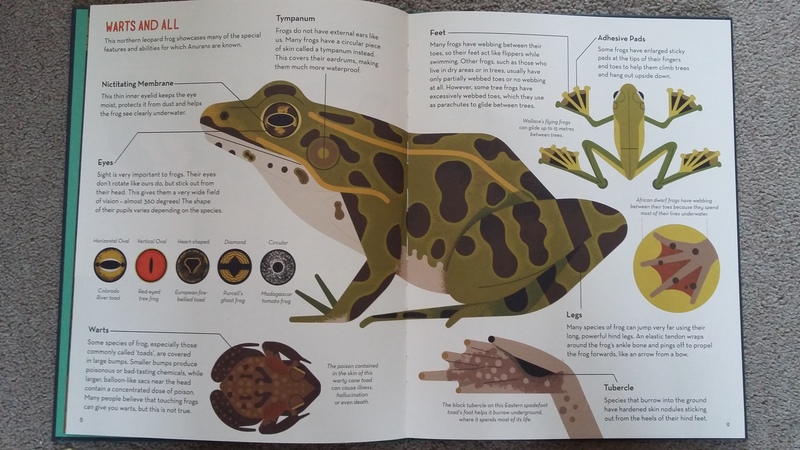 It takes a classic non-fiction topic of exploring the characteristics and behaviour of a particular animal, in this case frogs and toads and through a unique layout and truly amazing illustrations transforms it into something truly special. That you are going to want to dip into time and time again. 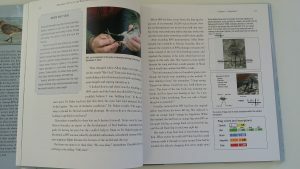 In what is mainly bite-sized information I learnt so much about frogs, with those eye-catching illustrations drawing you in to look closer every time. 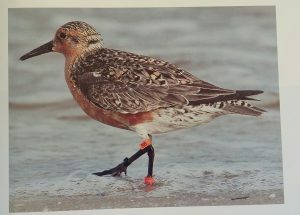 This includes: how they catch their prey, regulate their body temperatures, the different croaks and calls they make. 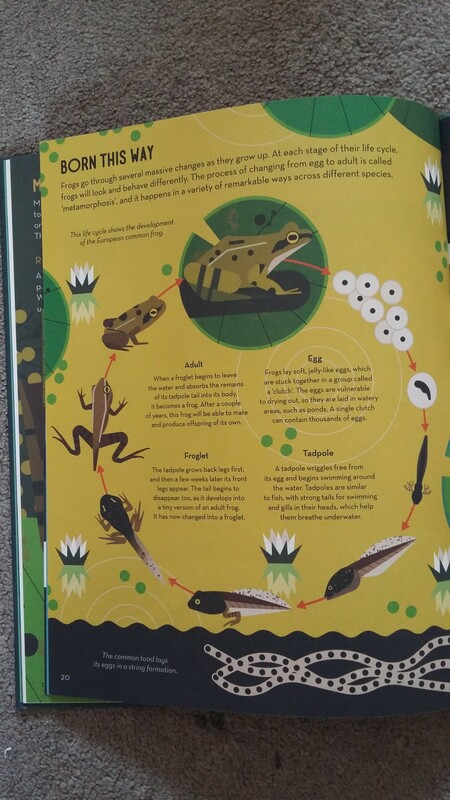 There is lots of variety in the presentation of the information, from almost full-page pictures, labelled diagram of the features of a frog, and a page of the life cycle of a frog. 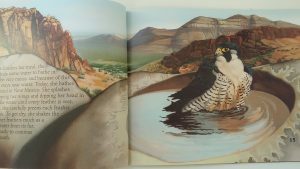 With detailed, accurate and precise information, and truly amazing artwork, Owen Davey’s books set the gold standard for a new generation of non-fiction books. 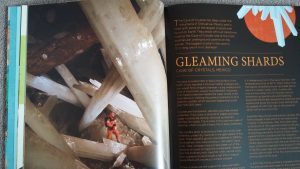 There is a contents page and index, making it easy to explore this great book. A little different to the other two non-fiction books. 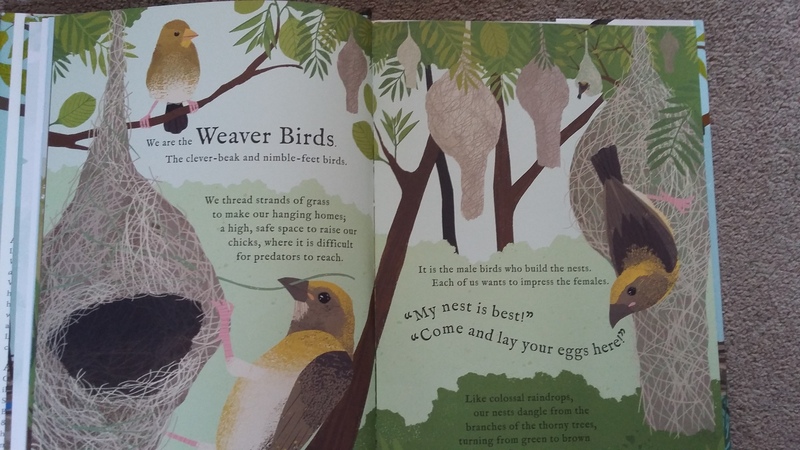 This is written more like narrative fiction, with a different bird, insect or animal on each two-page spread telling it’s storey of how it builds it’s nest or home. 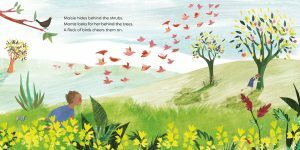 The soft coloured and textured illustrations give a warm feel to the book, and bring the animal homes to life, leaving you in awe about what creatures on our planet can create. 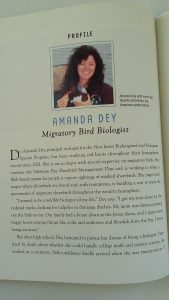 It includes: some unique bird’s nests, each using different materials and techniques, a peep into the world of bees, ants, wasps and spiders and animals such as: Gopher tortoises, moles, polar bears and beavers. A timely reminder that we are not the only creatures on Earth to create amazing things, and that we may even have things to learn from them. 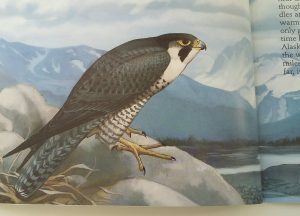 At the end there is a simple map of the World and a mini fact files on the bird, insect and mammal builders, which adds another dimension to this book. 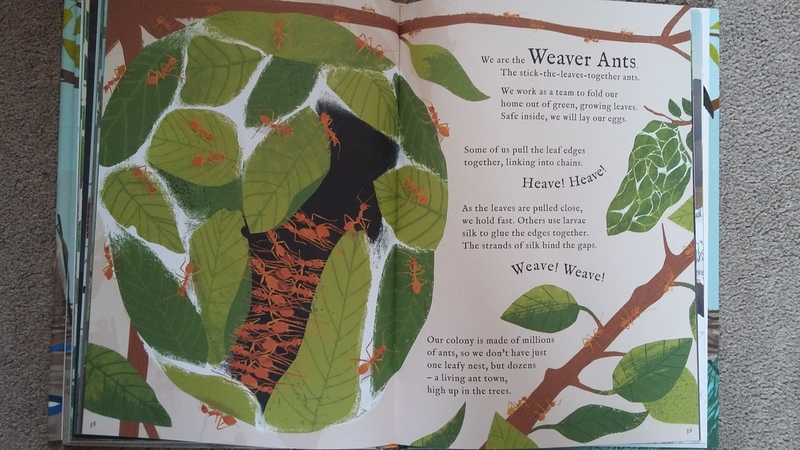 The book gives three different ways to explore the way creatures build their homes: first person narrative, detailed illustrations and the fact files. 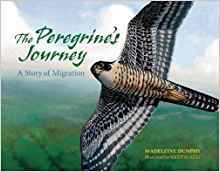 Giving different children the opportunity to engage with this intriguing topic in a way that suits them, and plenty of scope to explore different ways of presenting non-fiction information. 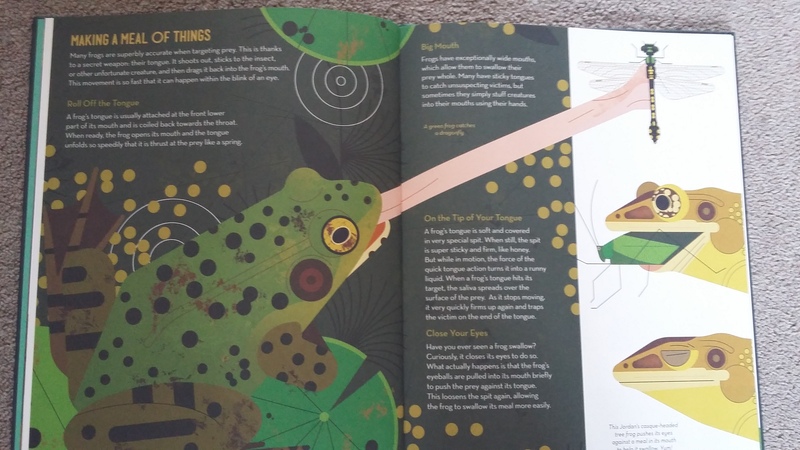 Thank you to Flying Eye Books for a review copy of Fanatical About Frogs, the other two books I bought my own copies. All three extracts feature trees or a tree, and some great suspense writing . 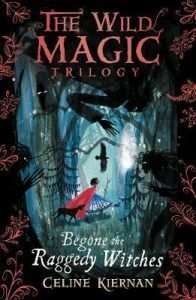 In Celine Kieran”s Wild trilogy, MUP is on here way back home from visiting her sick Aunt; as she drifts in and out of sleep in the car she sees through the window witches in the trees. 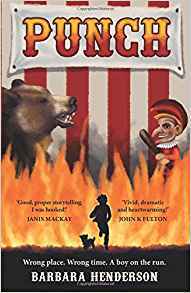 In Kathleen Fidler’s the Boy with a Bronze Axe, they are not sure what’s lurking in the water in a cave they’re exploring. later they discover it is a tree trunk! 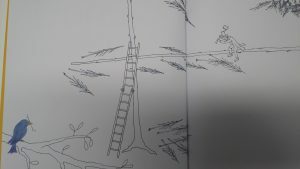 Finally in Barbara Henderson’s Punch a young boy is running away from a fire and climbs up a pine tree, but then something starts to climb up after him. 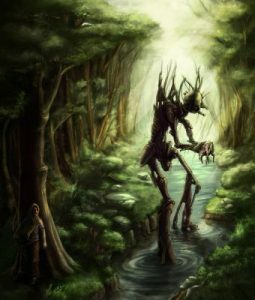 “outside the night was streaming past, Mup had slumped against the door with her face tilted to the sky, and she was looking up through the branches of the roadside trees, the trees were falling away as the car sped by, and there were witches in the branches and they were following the car. Mup wasn’t startled – half asleep as she was, with the taste of warm custard in her mouth – but she frowned up aT the witches with an inkling that something wasn’t right……….….Mup was filled with the knowledge that she was awake, and there were witches in the trees, following the car. He turned to run and would have fallen into the water below if Tenko had not grabbed him. Tenko’s heart had leaped and thudded for a second, but he saw the object did not move any nearer to them. All at once he knew what is was. ……………Tenko crouched down, crawling nearer and nearer to it as he would creep up on an enemy. One of its arms was outstretched towards him. Suddenly Tenko dealt it a blow with his axe. There was splintering sound but the arm did not move. Tenko stood up and gave a cry of joy. “Come here! Come here!” He shouted. ” It is what I thought.” Kali and Brockan came slowly timidly, not quite sure of their safety. “What is it Tenko?” Kali whispered, Even her low voice echoed mysteriously round the cave. “It’s a tree!” Tenko shouted triumphantly. 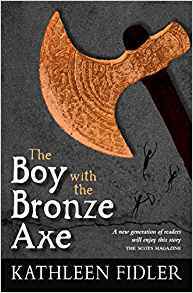 P69 The Boy with the Bronze Axe, Kathleen Fidler. A young boy called Phineas is running away from a his boss, after he accidentally started a fire. “ A sob rips through my lungs and my vision blurs, a mix of smoke and despair; until more flutterings and rustlings disturb me and the trunk sways alarmingly. I hold my breath. There is no mistaking it. Someone is climbing my tree. I cling to the trunk as tight as I can and I peer down, and my blood freezes. 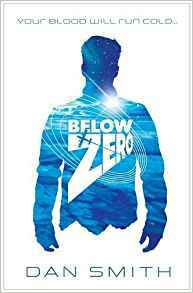 In the Christmas holidays I read Dan Smith’s Below Zero. 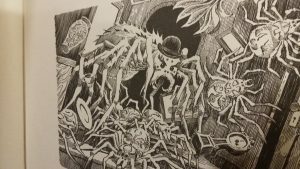 Which features some brilliant robotic spiders that get rather out of control, but to find out the reasons why they do you will have to read the book! 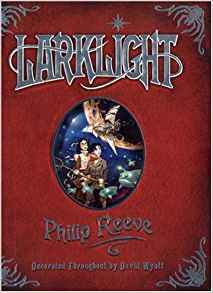 Then my son suggested I include the giant spider in Larklight. “At the back of the room there were three large bays………Right now HAL and ROY were empty, but the bay with ED above it was home to something that was one of the most amazing things Zak had ever seen. But, also one of the scariest. “Down in the hall, the monstrous spider squeezed it’s prickly ball of a body in through the door with a faint scraping sound. A cluster of black eyes glittered like wet grapes at the front end. Above them a shabby brown bowler hat was perched upon it’s spines. Beneath, hairy mouth-parts twitched and fidgeted. It tilted itself upwards, and saw me starring down at it. Think about what sort of spider you would create. What size would it be? Is it a friendly spider or a monster? 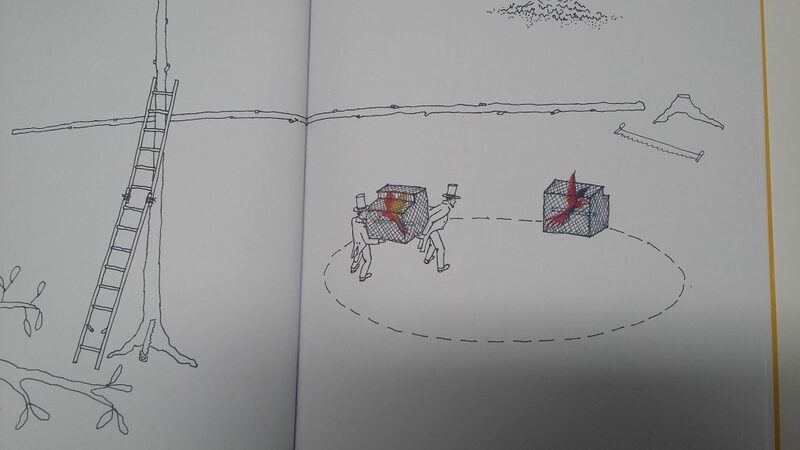 Can you draw what Dan Smiths robot spider looked like? What features of your own might you add? What other stories do you know that feature a spider or spiders? 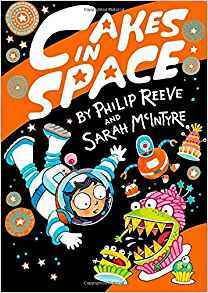 And finally but by no means least is my son’s favourite creature from Cakes in Space, written by Phillip Reeve and illustrated by Sarah McIntyre. 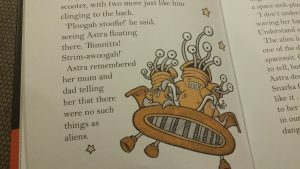 Astra IS in a spaceship, with her family, which is travelling from earth to the planet Nova Mundi in deep space. They were all put to sleep in little sleeping pods. But, astra wakes up whilst everyone else is sleeping. she has already dealt with some rather unsual cake monsters. “Ploogah stofie!” Shouted the creature, it’s voice loud and buzzy on her helmet radio. “Britxit Floop”. 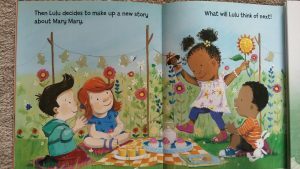 I have been following Maverick Publishing growing early reader collection with considerable interest. 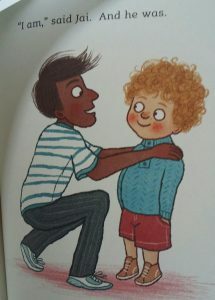 What immediately struck me about the illustrations, was how bold, colourful and full of ‘character’ they were. 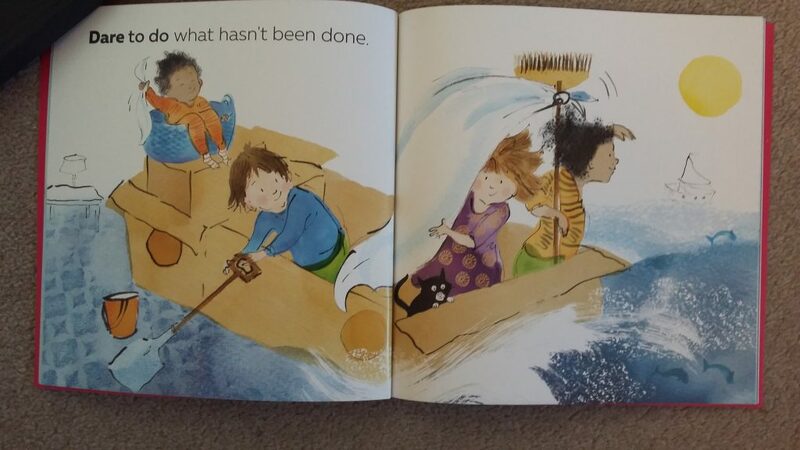 And how they were more like the kind of pictures you find in a good quality picture book than the pictures you often see in reading scheme books. The combination of fun and often original stories with eye-catching pictures really helps to engage the reader. Whilst each book look like it might be part of a collection. 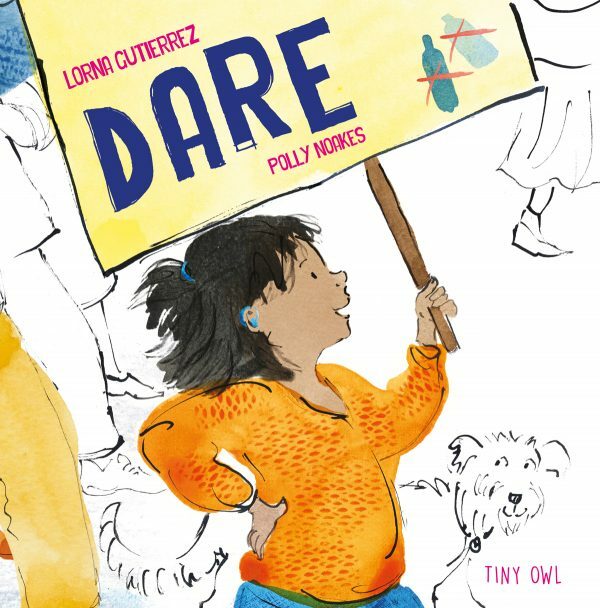 I love that there are many authors and illustrators. And I am especially excited by the later, and it was something my observant son was quick to spot. 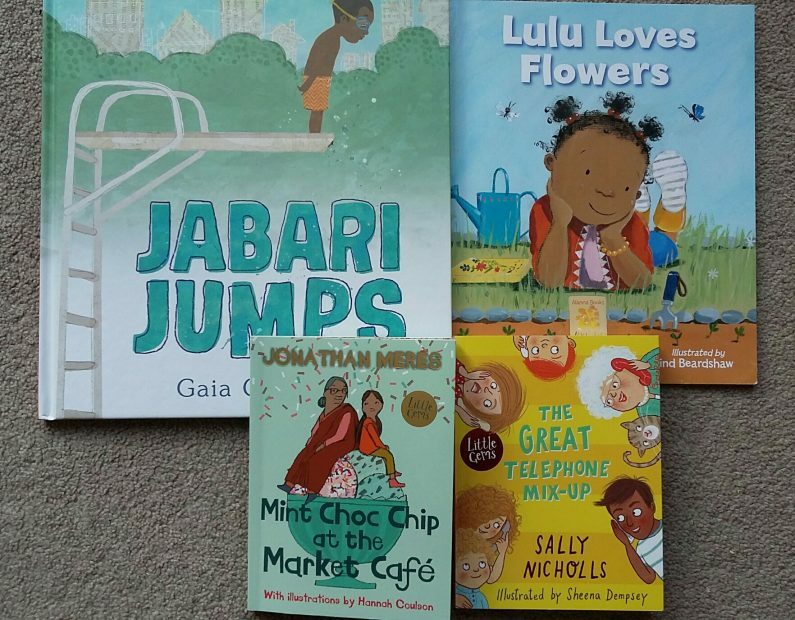 Despite the fact that my son is now in year 3 and a very competent reader I asked him last term to help me review some of the Maverick Readers. I also enlisted the help of some friends who have emerging readers of various ages. 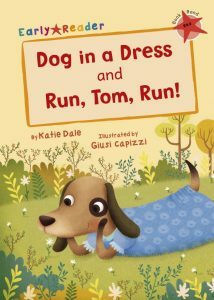 A book with a picture of a dog wearing a dress was going to get my attention. 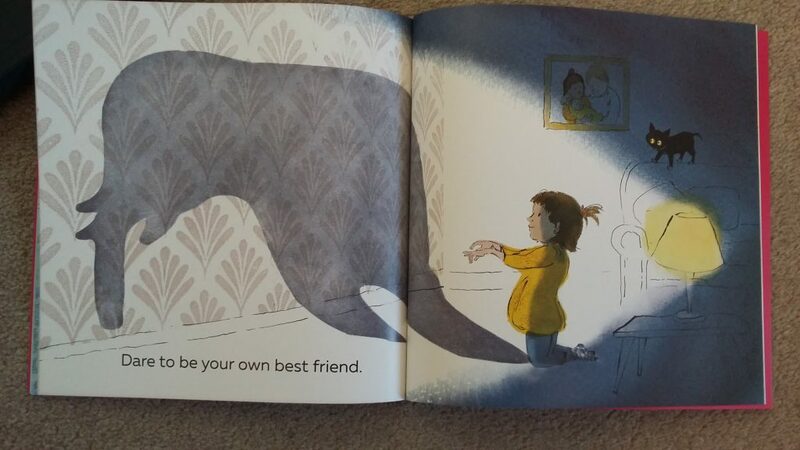 This is in part because one of our families favourite all time picture books is ‘Dog’s Don’t Do Ballet’ by Anna Kemp and Sara Ogilvie, where there is a Dog wearing a tutu on the front cover. So I was curious to see what an early reader with a few words might say! At this level there are two short stories. Each introducing a different letter, which are W and I. I love everything about the introduction to the story. The fact that the’ familiar words’ were shown as labels to mini-pictures. Which is much more eye-catching and less daunting than the usual lists. Clear guidance for parents and letter shapes to trace with your finger, the later of which my son would have loved when he was learning to read. My son enjoyed both stories and he especially liked Run Tom Run. The simple message of the story that ‘you can still have fun and not win’ was one he identified with and I think enjoying the outdoors himself he identified with a boy who was getting wet and muddy. Would make a great addition to any school or home collection. When I was looking through Mavericks website, and they now have a website dedicated to their Early Readers, you can view it here. 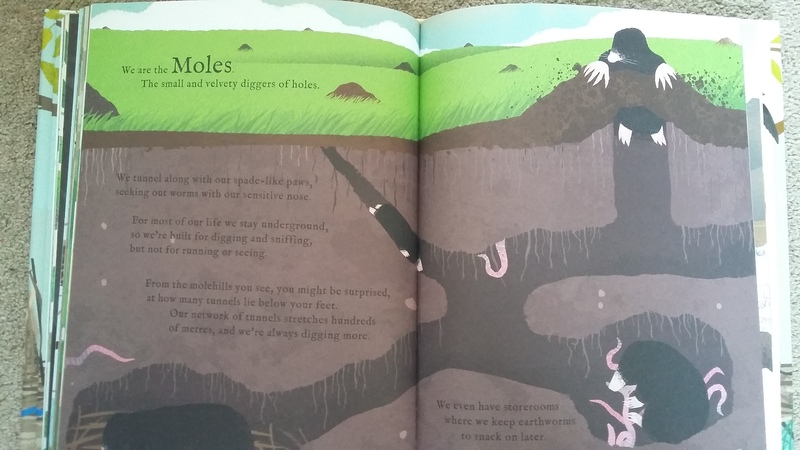 It was helpful to see pictures of inside the books which is really usesful when you are looking for a story or stories that may interest a particular child. 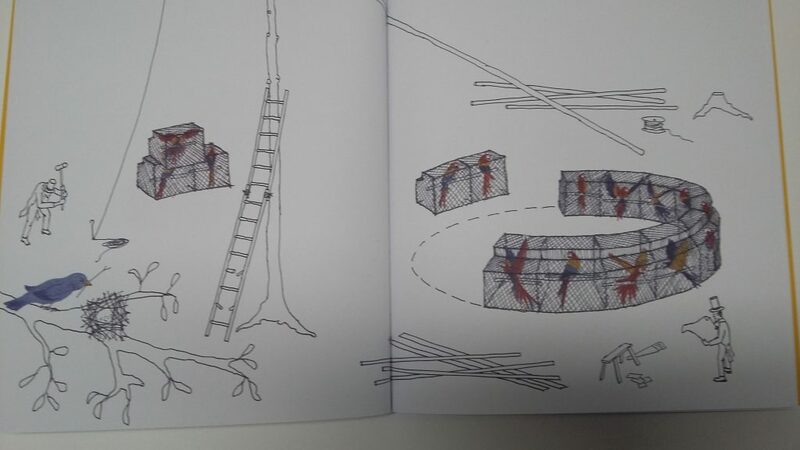 What struck me was how unique it was to have an early reader that included ‘factory like diagrams’ as part of the illustrations. One of my son’s favourite picture books when he was younger was Eroll the Squirrel, by Hannah Shaw where a squirrel accidentally ends up in a packet of nuts, and my son loved the ‘diagram page’ which showed how he ended up there. In fact it was this page that got him hooked into listening to the story. 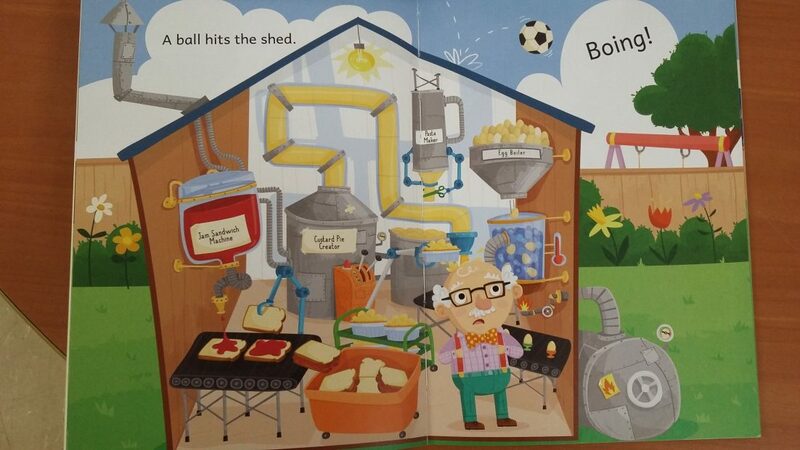 In this story Grandad has an inventing shed. 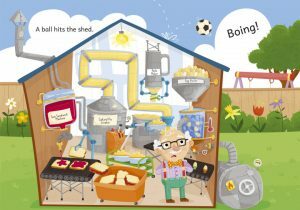 And when the neighbours ball hits the shed for the second time all the inventions started to go wrong, and my son loved spotting what was going wrong. So much potential for this Yellow reader for guided reading, which will help engage any reader. 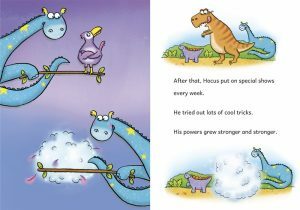 For those that already like books the illustrations are so much more fun than the average reader, so they are less likely to get bored. 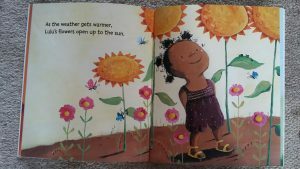 And for kids that do not have much exposure to being read aloud picture books, it would help them to begin to discover the detail in pictures and the fun of doing so. At this stage the stories are still quite basic. But for some kids that started out being fairly positive with phonics it is as early as this they can start losing interest. I believe that one of the reasons for this is that they fail to have empathy with the characters. And some stories are so much better at building empathy than others. 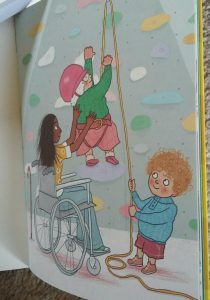 With the clever used of speech bubbles this story encourages the reader to have empathy brilliantly. 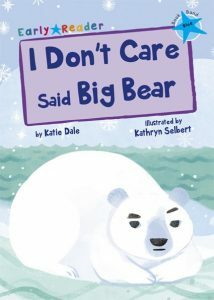 It’s a wonderful story about a bear who doesn’t want to help his friends, but learns the errors of his ways. A read aloud of the Little Red Hen would make a great follow up to this story. It could also promote some interesting discussions on what happens when the ice melts? Lot’s of great information on Maverick Publishing dedicated Early Readers website, see here. 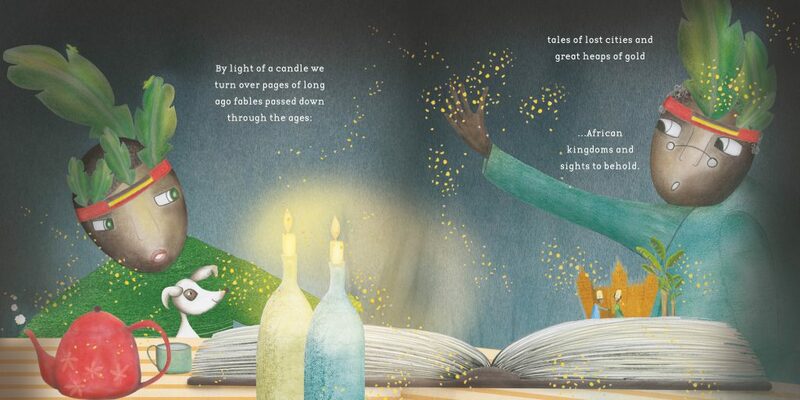 This story opens with a boy imagining (or dreaming) of all the adventures he could have. Then he wakes up and discovers it is raining and that he is stuck inside. 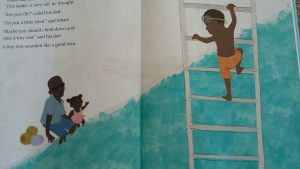 But then his Jjajja (grandfather) takes him on an adventure doing ordinary Ugandan things around the house, such as packing away the peas, gardening and cooking a fish stew for supper. 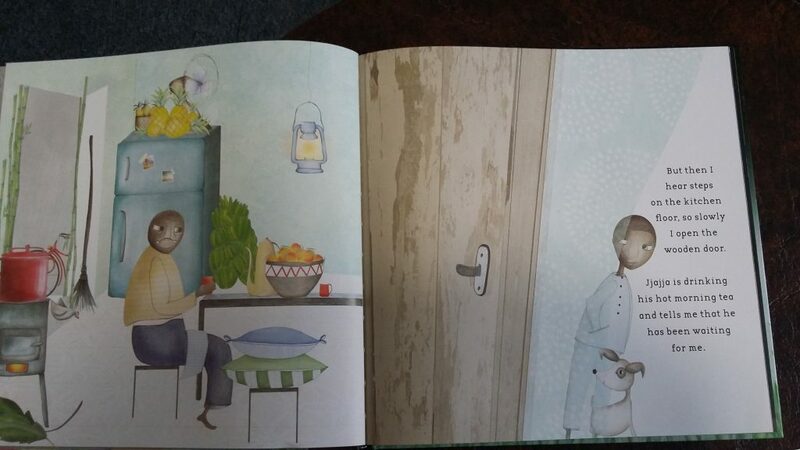 The detail in the pictures and warmth of the soft pastel colours bring domestic Ugandan life alive for the reader and they also radiate with the warmth of the relationship between the boy and his grandfather. 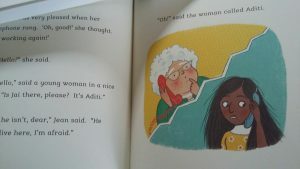 I can think of a number of bedtime stories where a child shares a story with a parent or grandparent. But, this is different in the stories the characters are sharing are African. The text and pictures work brilliantly together to communicate excitement about these stories. 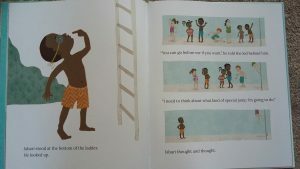 There could be some great follow up to this part of the story in looking for stories from different African countries. 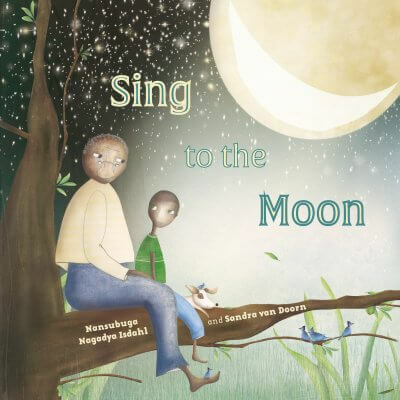 As the night ends the boy and his grandfather share a magical moment outdoors and the reader is introduced to the noises of the Ugandan night. I love the strength of the relationship between the boy and his grandfather. At night time this also includes Jjajja telling the boy that a star will always be watching over him. 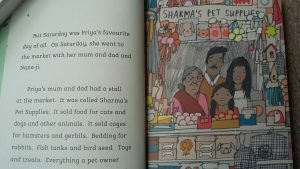 For anyone with a strong relationship with a grandparent or older person this story is sure to resonate whatever their ethnic background. 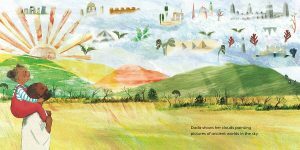 This is a lovely story which introduces you to Uganda, whilst also encouraging you to look a bit closer at where you live and who you share special times with, and encouraging each of us to celebrate the ‘every day’. It would make a great addition to home and school libraries. 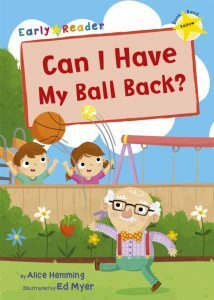 Thank you to the publishers Lantana Publishing for a free copy of this book to review.